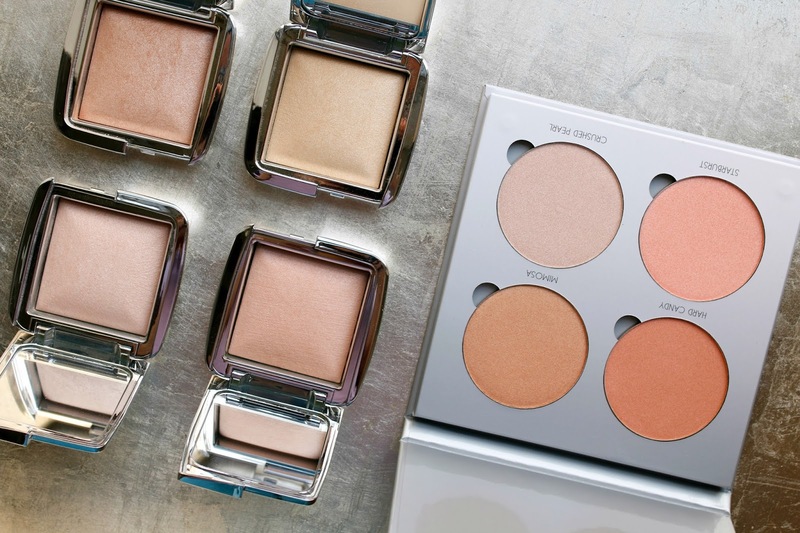 Strobing or highlighting or whatever new name they will come up with next - there is no shortage of powders these days to add a shine, shimmer or glow to the skin. As someone with oily skin, I used to shy away from anything that would add additional shine for fear I would end up looking like a greasy disco ball. But as I have said before, the formulations of highlighters nowadays is light years ahead of what it was even a few years ago. There are a ton that I use and love (read back on a few of my faves here), but recently these two have gotten a ton of buzz. The new Hourglass Ambient Strobe powders are a further addition to the ever popular (and personal favorite) Ambient Lighting powder range, and the new Anastasia Beverly Hills Glow Kits offer intense shimmer powders in one easy to travel-with compact. 1. Hourglass Ambient Strobe Powders - As with so many Hourglass products that launch, there is a ton of buzz followed by a wide range of opinions on their performance. I've said before that I drink the Hourglass Kool-Aid, but that doesn't mean I blindly like anything they produce. I can definitely understand why many people had differing thoughts on these powders since they deliver such soft and understated results. I do think that for those that want a strong and intense strobe or highlight, these will not be for you. As you can see from my below swatches, they are a sheer powder with just a hint of color. It was not sunny this day so you can't see the shimmer, but it is definitely there. There is slight glitter, but for me it was understated and blended into my skin right away. Incandescent is my favorite shade and gives the most subtle highlight that I can wear daily, while Brilliant provided the strongest contrast. Iridescent and Euphoric looked a tad more bronzy on my skintone and if I was wearing the right matte foundation and primer, looked beautiful dusted on the cheeks and cheekbones. The formula and texture of the powder is what I have come to know and love from Hourglass - it's finely milled and looks undetectable on the skin. These are a win in my book, but I don't think it's necessary to buy all 4. I would recommend (if you prefer a more subtle strobe) picking out your favorite shade or two to add to your collection. But then again, if you hoard makeup like myself, just go ahead and purchase all 4 because you know you want to. Ha! 2. Anastasia Beverly Hills Glow Kit in Gleam - Anastasia Beverly Hills has quickly become one of those brands that has the pigmentation and quality to qualify as a makeup artist brand first and foremost. But yet the colors and performance of the products make it desirable to the masses who want to wear the products for everyday. 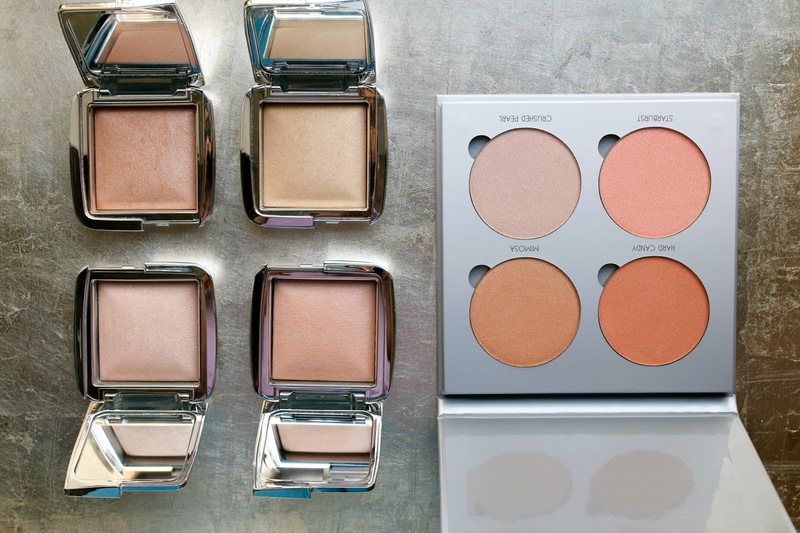 However, there is nothing subtle about the brand and that is again the case with these Glow Kits - high watt shine in the most stunning shades of bronze, rose-gold and champagne. These are a makeup artist's dream and a kit must-have for photo shoots since they will give an unforgettable highlight. To adapt them for everyday may be a bit harder since the pay-off is so intense, however as someone who has mastered the light-handed technique I can make almost anything work for any occasion. Mimosa and Starburst looked stunning dusted on the cheeks themselves, while Crushed Pearl gave me cheekbones like never before. Hard Candy was the most unique shade of them all and became one of my favorite colors to wear on my eyes. Whoops. Frankly no one ever said the products had to be used exclusively for the cheeks, so I went rogue and used them on the eyes. It has a duochrome effect that I love as a single wash of color to the lids. I do think, as with almost the entire Anastasia range, this glow kit can be used on most if not all skin tones. 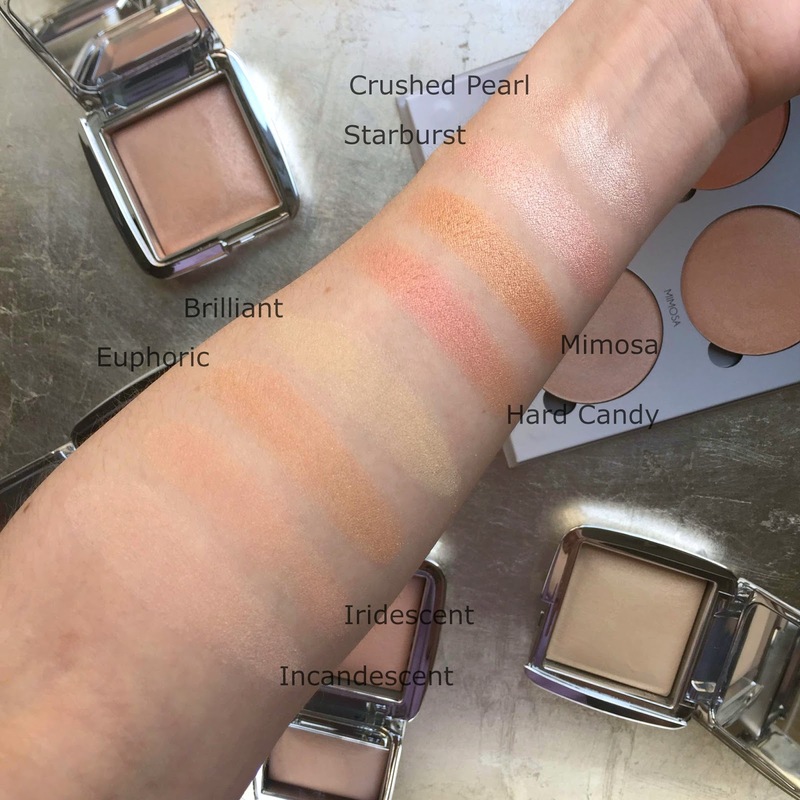 The warm undertones of each shade make it appealing to so many and if you are looking for a highlighter that packs a serious glowy punch, then I advise you to pick this up immediately. You will find yourself mixing the colors to create your own shades which is half the fun of wearing makeup, amiright? Have you tried either of these products? What are your thoughts? The ABH palette looks beautiful. As much as I love the Hourglass powders in general, I will hold opinion on these until I see them in person I think. Strobe is a pretty strong word for something that seems so subtle.